My Type of Halloween Manicure! Now this is my type of Halloween manicure!! I have mentioned in previous posts how much I love red and black nails. Now I combined my love for red and black with one of my favorite nail techniques that I have also featured on my blog, aka Grunge Nails. Click on my Grunge Nail Tutorial post to learn how to create this technique. But basically, you put down any metallic shade you have and then smear black over top to give it a grunge/dirty look. And because it’s Halloween tomorrow, I have been giving myself Halloween manicures for about a week and a half now. I did this early, but I’m posting it now because it was on a different memory card. But how perfect are these nails for Halloween? I used Butter London “Knees Up”, which I have also shown on my blog before and you can click here to see pictures of what this polish looks like on its own. It is a bright red metallic that I am a little too timid to wear on its own, but with black all over top it gives it a creepy look. Sephora by OPI “Whats a Tire Jack?” is my go to black color, mostly because its the only pure black I own. How many black cremes do you honestly need? I have one and it does the trick. But what you do is simply paint the base color and once that’s dry, you paint a layer of black over top. 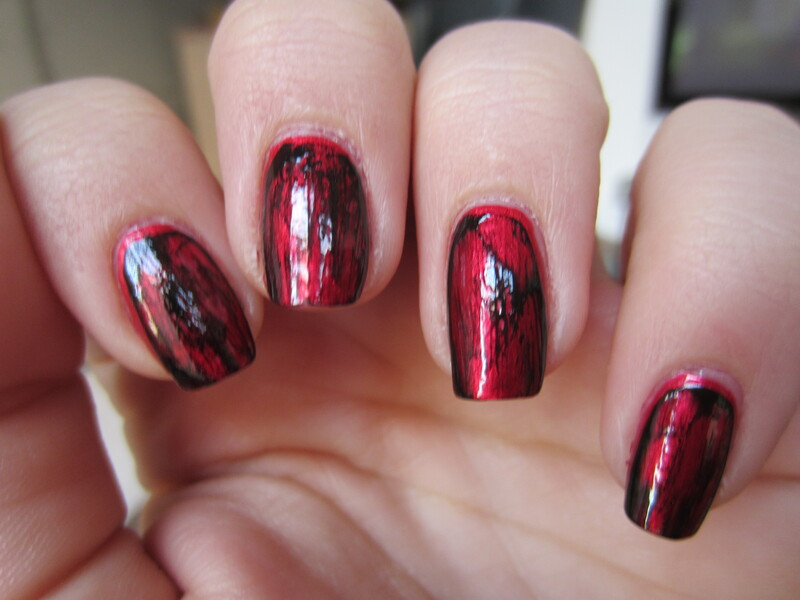 While the black is still wet you use your finger and smear the polish off. It creates a dirty look, where the black is taking away from the brightness but the polish underneath still is the main color and is shining through. This manicure looks like the cover of every scary movie. 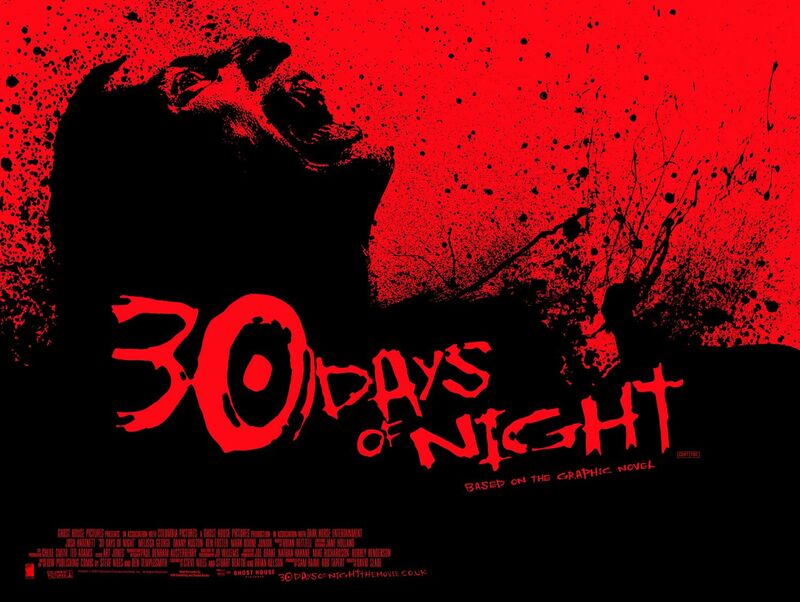 And to show you what I mean, I picked the picture of my favorite vampire movie of all time, 30 days of night. This is why this manicure makes me think of Halloween. The black and red is engrained me in as the creepiest color combination because it is used in ever scary movie I love. This was my perfect manicure for this time of year, but stay tuned because there are more to come. I have to redeem myself after that horrible shatter manicure I posted. ← Black Widow Halloween Makeup! !